The communications industry often gets caught up in discussions about technology, and such conversations can be valuable. But it’s also important to pause and pull back to look at the larger picture of what’s happening with the market players and their potential to use technology to meet market needs both in the near and the long term. That’s what we aim to accomplish in this article. we will assess the level of interest in Cat-1; consider the market size expectations and predictions related to different IoT LTE categories; compare Cat-M and NB-IoT; and comment on the role of LoRa. The industry is currently in a state of transition, with new standards being released for supporting the Internet of Things over cellular networks being released. At the same time the cellular service providers are moving to transition their 2G customers – which represent an installed based of more than 100 million – to newer networks. Meanwhile, a new generation of service providers is popping up to try to cater to IoT customers with their offerings. 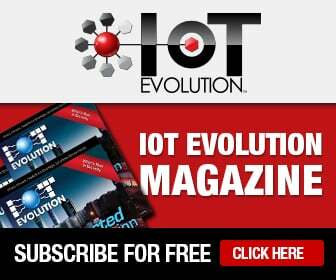 But while the market is growing increasingly crowded with different IoT-focused service providers and technologies, Eshed says one solution is the clear choice at this point in time. And that’s Cat-1. Cat-1, he explains, is the only way of addressing all the market forces currently at work. That’s because it is here now, and it works out of the box. To date, most of the interest around Cat-1 has been in Korea, Japan, and the U.S. But it’s early days for Cat-1 and all the other IoT technologies, Eshed says, noting that there has yet to be a single trial of Cat-M1 or NB-IoT, which he suggests signals a transition window that will be longer than many people expect. In any case, he says, as trials and commercial deployments commence, additional carriers are likely to see the goodness of Cat-1 and join the Cat-1 pack. The fact that Cat-1 can support applications that require up to 10Mbps of bandwidth makes it the only option that is viable for IoT use cases that require more bandwidth, Eshed adds, and it’s ability to deliver this level of bandwidth means Cat-1 will have a much longer shelf life. “Cat-1 is not a temporary transition technology,” says Eshed. “Cat-1 is here, and it offers surprisingly great performance in terms of battery life and cost. Cat-1 shipments this year are expected to be in the several millions of units. In 2018, it is anticipated that Cat-1 shipments will add up to more than 20 million units. “So this market is growing, and it’s growing significantly,” Eshed says. Indeed, a forecast by TSR Research indicates that Cat-1 shipments will outnumber Cat-M1 and NB-IoT shipments combined until 2019. But that is the year at which the crossover point is expected to occur – when shipments of these various technologies will be about equal. That moves us to the discussion about Cat-M1, NB-IoT, and how the two technologies stack up against one another. Cat-M1 today is considered a U.S-centric technology, says Eshed; meanwhile, conventional wisdom in the industry is that NB-IoT will be adopted in most of the other regions of the world. However, Eshed reiterates, neither of these technologies has been tested, deployed, or proven yet. So service provider decisions about these technologies today are based on simulations and analysis provided by companies with vested interests in the uptake of solutions based on these technologies. As actual implementations of Cat-M1 are put in place here in the U.S., Eshed says, others will see the true benefits of Cat-M1 over NB-IoT. That said, NB-IoT does have its appeal. For example, because NB-IoT is narrowband, it fits cleanly into the existing GSM channel allocations – allowing for simplified network planning and spectrum management. However, the fact that NB-IoT is narrowband is both a blessing and a curse, as it limits the technology from supporting some use cases. NB-IoT is also frequently lauded as being a lower-cost, lower-power technology than Cat-M1 because it is an LPWA solution. But upon closer inspection, the cost difference between NB-IoT and Cat-M1 is negligible, Eshed suggests, and power consumption performance of the two technologies are use-case specific. Notably, NB-IoT also is incapable of addressing use cases that require mobility and that need to support voice, he says. Consider, for example, a carrier that wants to offer a service based on wearable devices like watches or tracking devices. If a feature of that application provided the device user with the ability to make an emergency phone call, a carrier with a network based on NB-IoT couldn’t support it. Cat-M1, meanwhile, can support mobility and voice calls, and it offers more bandwidth. Time to market is also on Cat-M1’s side. Cat-M1 commercial networks will be announced in the U.S. by the end of this year; meanwhile, announcements about NB-IoT network readiness (not necessarily indicating service launches) won’t come until about a quarter later. However, that doesn’t mean there is no place for NB-IoT. In fact, Eshed says he expects that some service providers will leverage both Cat-M1 and NB-IoT.